Not all vacations welcome your pet. Hotels dont allow them. And restaurants, forget it. Folly is truly the exception to the rule. There are houses and vacation rentals all over the island that allow your pets. Restaurants welcome Fido on beautiful decks and even provide water for those hot days. Start by finding the perfect place to stay with your furry best friend. 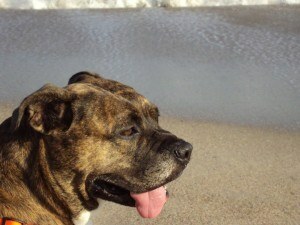 FollyBeach.com and our agencies/homeowners offer plenty that cater to four-legged travelers. There are houses or hotels on or off the beach for you to choose from. One tip: read the fine print. There will most likely be a pet deposit, you might have to get approval from the homeowner, or there could be size restrictions. Know what expect in advance. Because of Follys relaxed atmosphere, restaurants are more welcoming of pets. Your pup can lie at your feet while you enjoy the best dining that Folly has to offer. Pets, of course, still have to stay outside, so restaurants with a large porch, like Lost Dog Café or Folly Beach Crab Shack both welcome well-behaved dogs. Dogs love the beach. Theres always something new to smell or taste, waves were made for swimming. During peak beach season, between May 1 and September 30, dogs arent allowed on the beach between 10 a.m. and 6 p.m. Fines can reach $500, and dogs much always be leashed while playing in the surf and sand. This leaves time for Fido to play fetch and enjoy the waves before and after the crowds. Really? What dog can play fetch while on a leash??!! I do love Folly for "me" time, but when it comes to taking my dog's to the beach, Folly is not where I go. i was bitten by a dog at the folly beach crab shack....since this is their policy they could have been sued. but since the dog had his shots and trying to be the bigger man, i didnt pursue the lawsuit. but dogs, no matter how friendly can get tripped out under any circumstances. i didnt pick at the dog, and tried to give him extra room and he lunged at my ankle broke the skn, bled and swole up my anckle and the crab shack mgr, basically said oh well??? ?